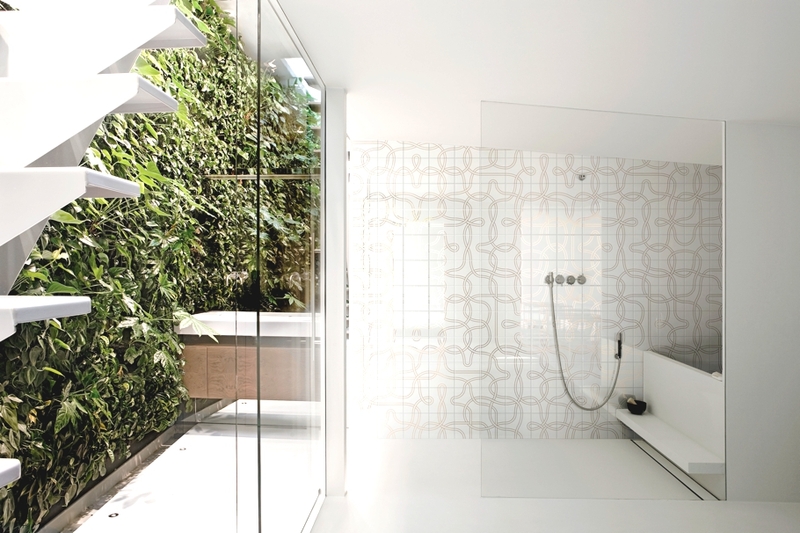 If you’re curious about what will be trending in ceramic tile in 2015, here’s a round-up of the 10 hottest trends from Cersaie – the world’s preeminent exhibition of ceramic tile and bathroom furnishings. Held in Bologna, Italy from September 22-26, the show was teeming with design, craftsmanship and innovation with nearly 1,000 exhibitors from 38 countries introducing their latest products to the market. 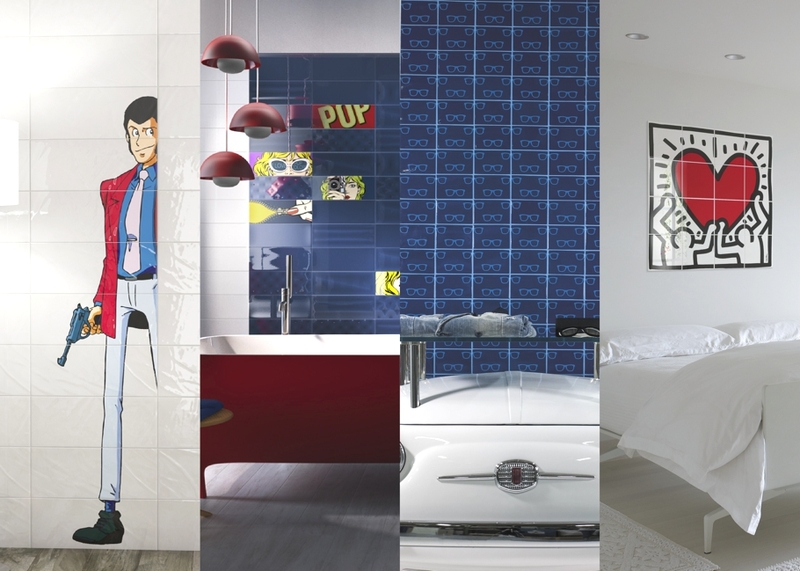 Among the abundance of graphic tiles at Cersaie, many companies turned to the world of comics and pop art to create playful collections of functional wall art. 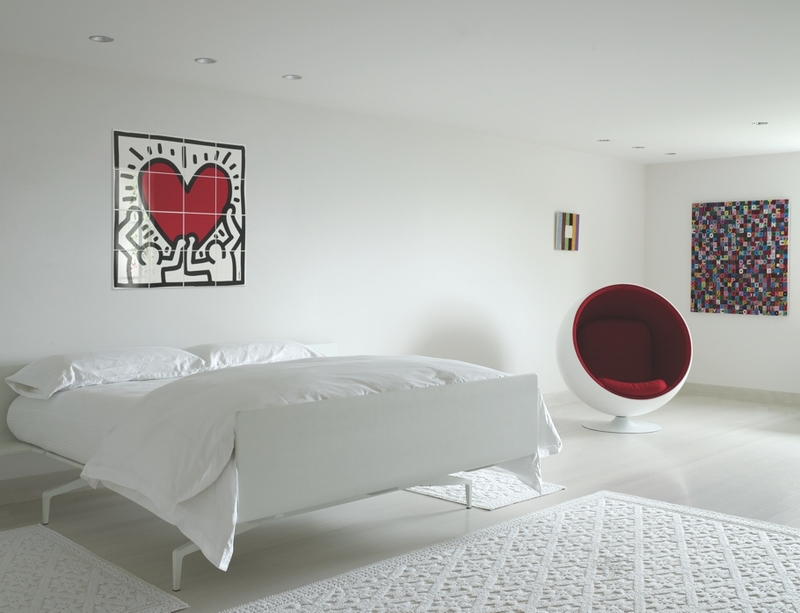 Imola and Ascot paid tribute to the kings of pop art, Roy Lichtenstein and Keith Haring, while Del Conca presented animated characters from the popular Japanese manga series, Lupin the 3rd. 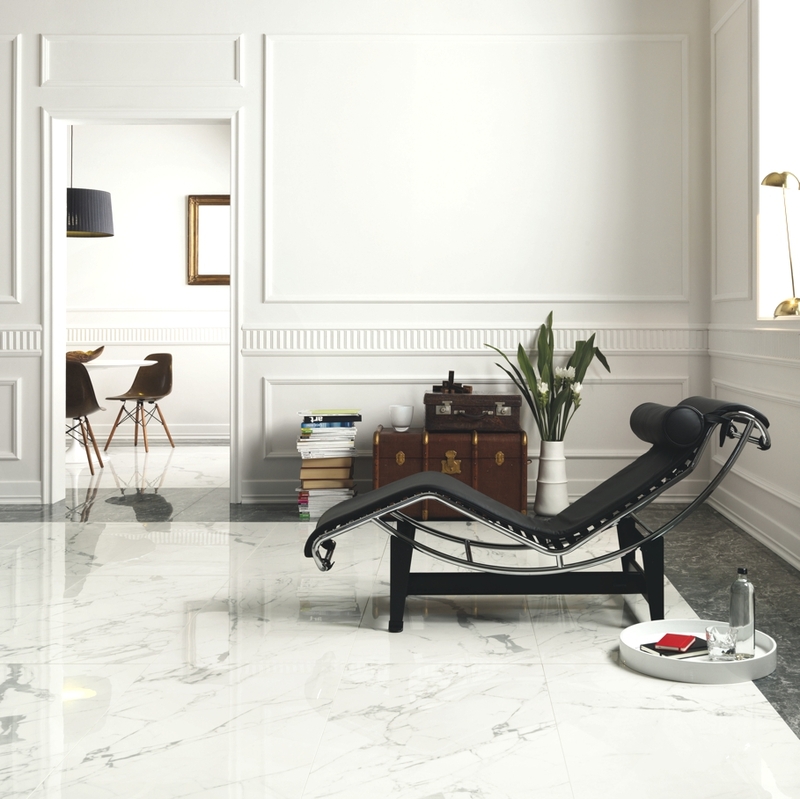 While some companies focused on luxurious white marble such as calacatta, carrara and statuario, others continued to expand their marble lines to include creamy tones of travertine and darker hues like Saint Laurent and Berimbau. In addition, novel shapes (hexagon and chevron), overlaid designs and three-dimensional surfaces (pillowed edges and linear folds) were added to the mix. In terms of shapes, it was undoubtedly the year of the hexagon. 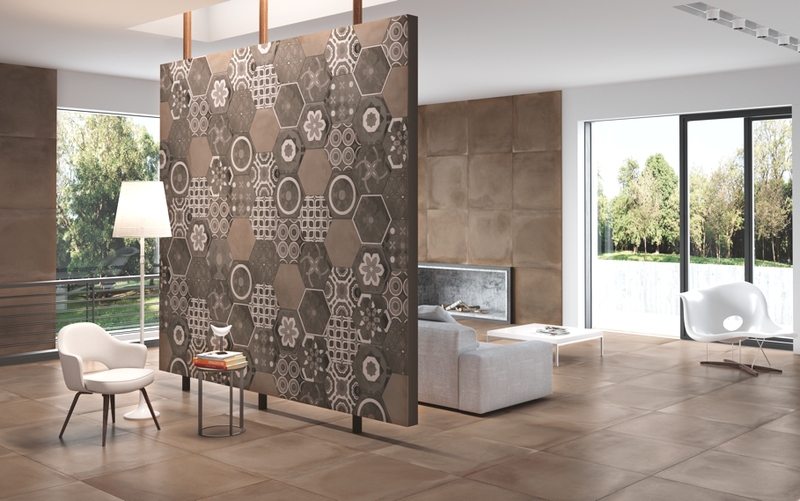 A far cry from traditional hexagonal tiling, this new crop includes macro and micro sizes, rhombille tiling effects, irregular cutouts, and encaustic, concrete, marble, wood and brick designs. 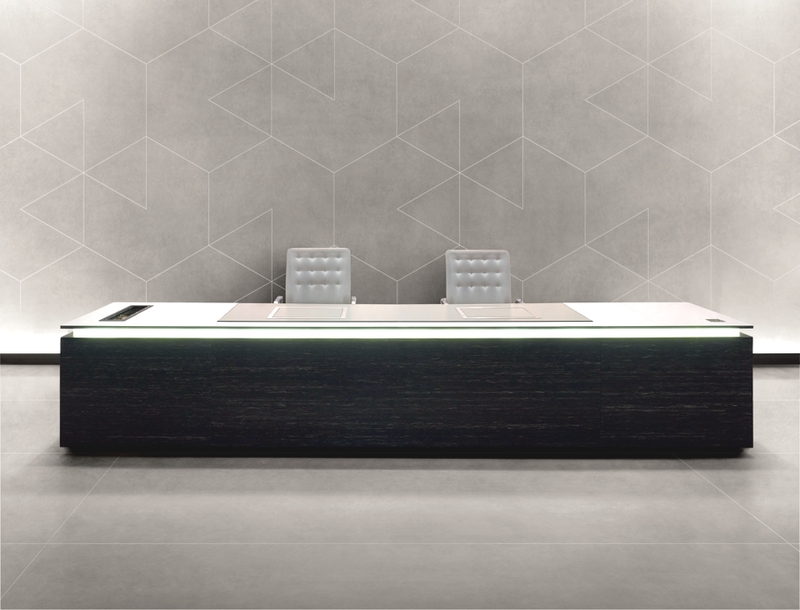 Customisation is like catnip for architects and designers, and tile companies are responding with flexible systems for creating tailor-made compositions. Robert Dawson designed a ceramic tile series for Bardelli with a sinuous silkscreened pattern that can be freely rotated and randomly combined while Lavinia Modesti and Javier Deferrari developed a comprehensive line of hexagonal tiles for Mirage that can be studded into each other or configured into countless combinations. 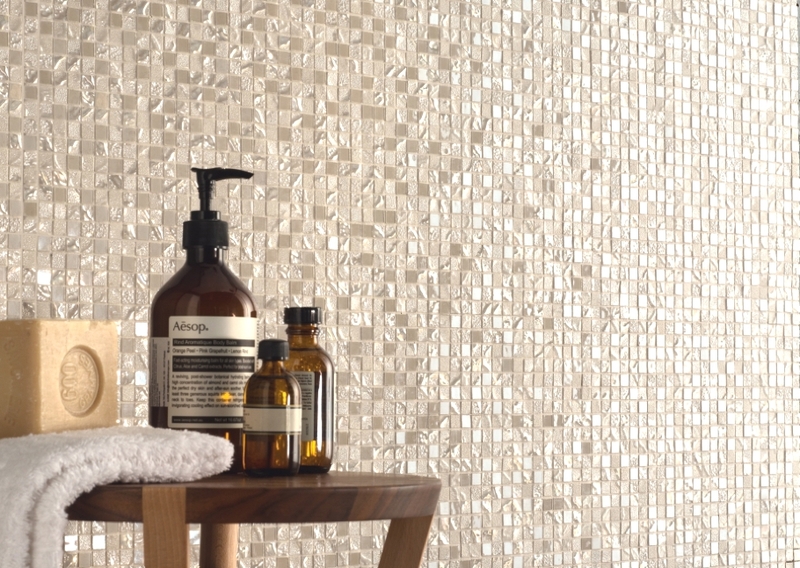 Innovative mosaics were everywhere – from playing with the dimensions of traditional penny, hexagon and brick mosaics to introducing completely new formats such as linear, diamond and organic shaped tesserae. The inherent charm and beauty of encaustic cement tiles from the turn of the 19th-century inspired many collections at the fair. Putting a modern spin on the classic tiles, some were overlaid onto concrete, terra cotta and stone designs while others presented crisp or fading patterns. Collections include: One by Caesar, Caterina Sforza by Cedir and Keramos by Century. 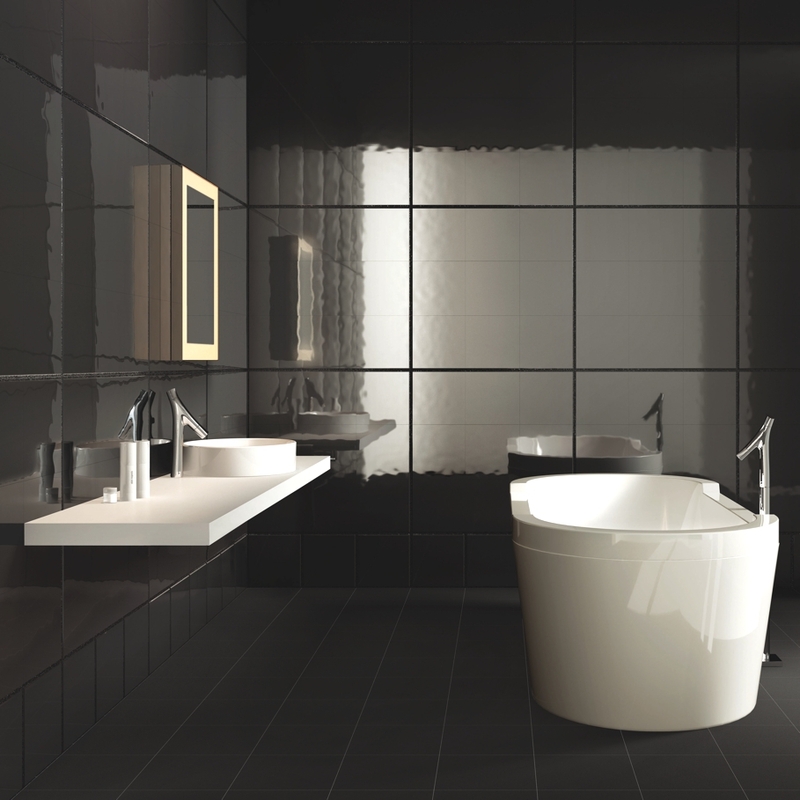 Although the entire color spectrum could be found at Cersaie, from dusty hues to vibrant pop colors, there was a significant return to classic black and white with added effects such as fading reliefs and op art graphics. 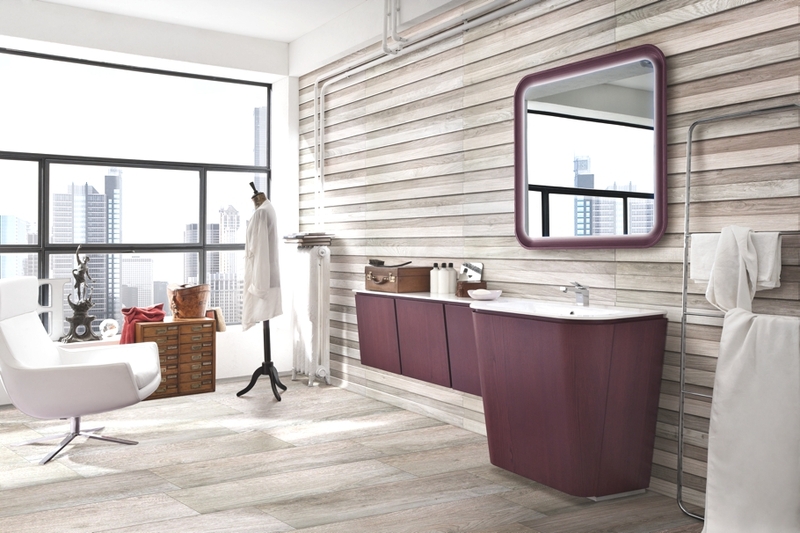 Coinciding with the romanticism of industrial spaces, many companies showcased metallized tiles exhibiting the sheen of platinum and bronze or the weathered effects of rusted steel and oxidized copper. The world’s forests are a continual source of inspiration for tile manufacturers who continue to explore new frontiers in ceramic wood. While some companies are inspired by the charming imperfections and character of rustic and recycled lumber, others are drawn to special techniques – such as charring – or adding a polished or glazed finish for a touch of sophistication and glamour. 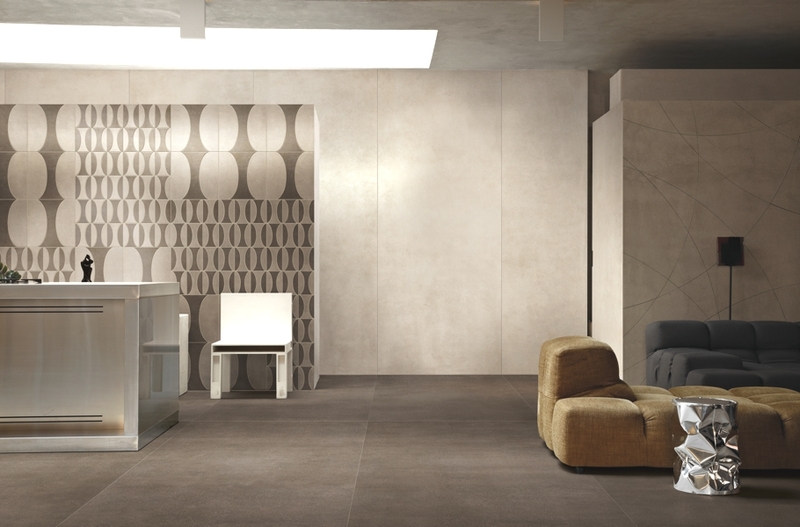 Italian manufacturers are the industry’s leading tastemakers but they are also pioneers in technology, moving tile beyond its traditional role as a floor and wall covering and into the realm of smart materials. 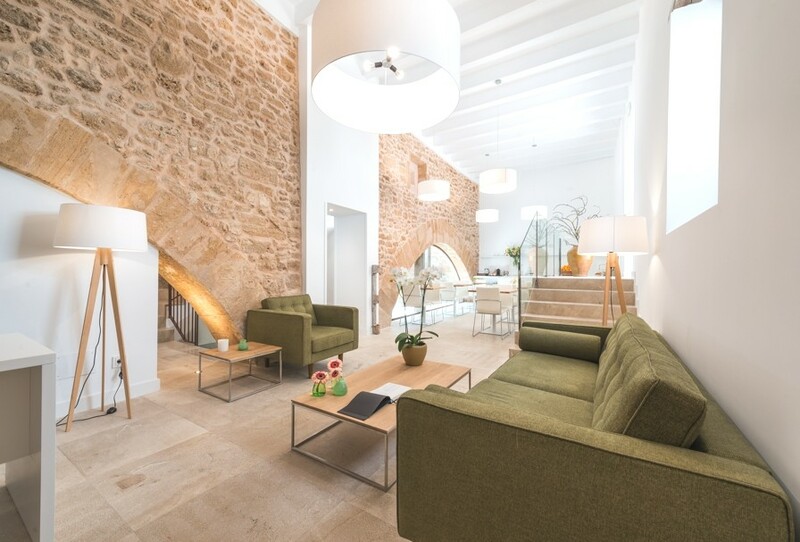 ABK Group unveiled a revolutionary technology that adds elasticity to porcelain tile, ensuring perfectly flat installations, while Piemme launched a series of hi-tech tiles with embedded photovoltaic cells to create self-illuminating outdoor flooring. 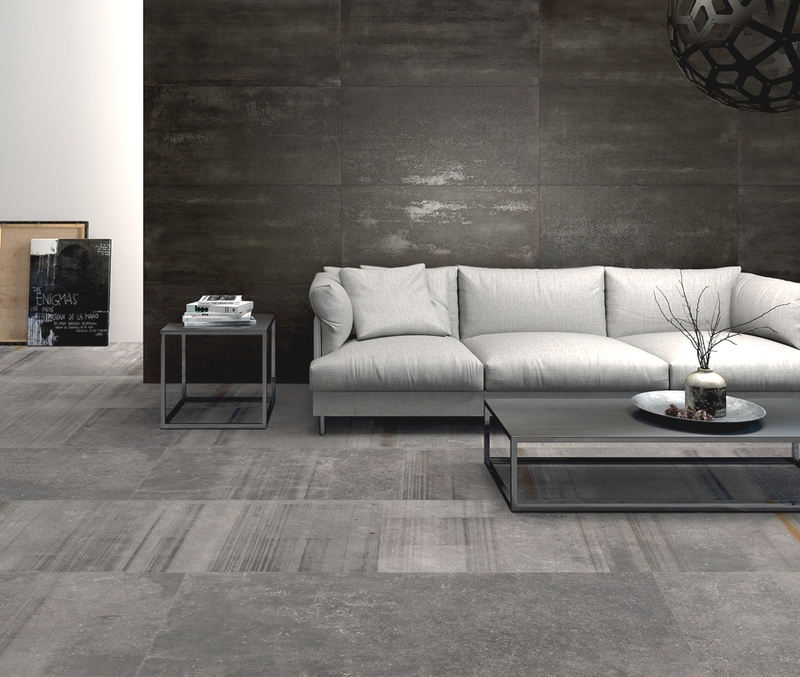 In terms of innovative formats, Florim showcased some of the largest thin slabs in the industry and Faetano introduced a new tile specially designed to wrap corners.